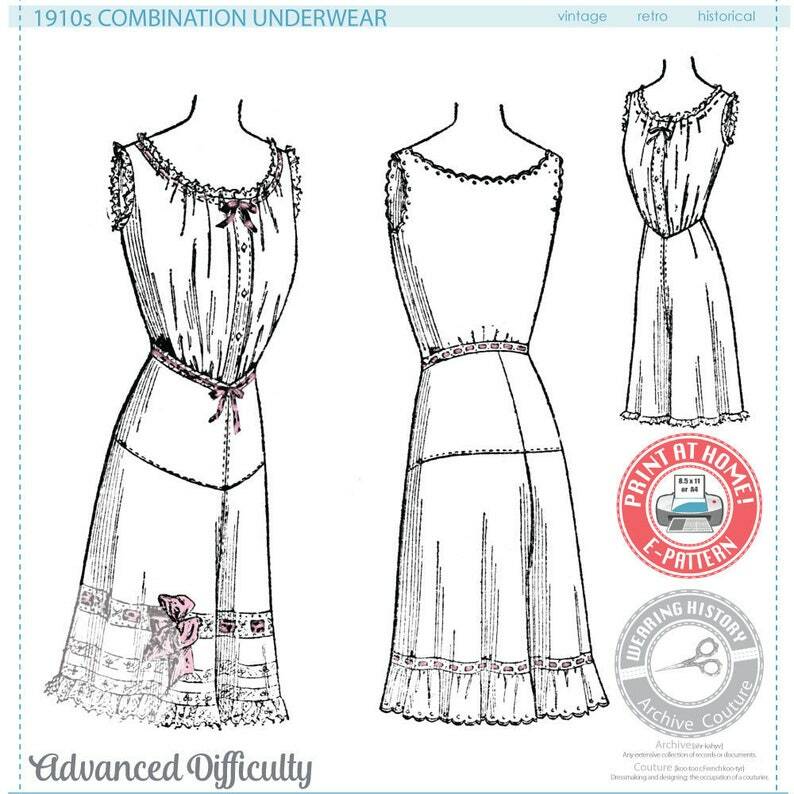 Lovely 1910s combination underwear pattern for combined corset cover and split drawers. This was to be worn OVER your corset. Advanced difficulty. Included are original period instructions that are text only and very minimal. You may wish to have a sewing book handy for detailed techniques. Adventurous intermediate sewers may be able to accomplish this pattern. This is from an original McCall period pattern. 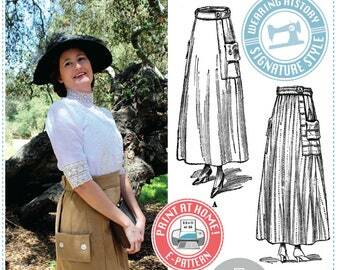 We estimate this pattern to be from 1910-1911. This pattern is available in one size only. Size 36" bust, 24" waist. -A clean, computer drawn pattern of the basic pattern shapes needed to create the garment illustrated. -Additions of watchpoints for fitting, basic alteration suggestions, and a page of text only written clarification of original sewing instructions. -NO sewing illustrations. 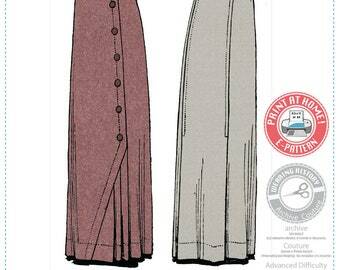 You must be familiar with how to put a garment together using pattern shapes and garment illustration. -NO trim placement. You must get creative with your lace and trims. -NO button and buttonhole placement. -1 for the e-pattern "how to" sheet. 47 total sheets of 8.5" x 11" sized paper or A4 sized paper are needed to print this pattern. It's beautiful and perfect! I'm planning to use it to line a 60s coat which I'll make for my daughter's wedding.